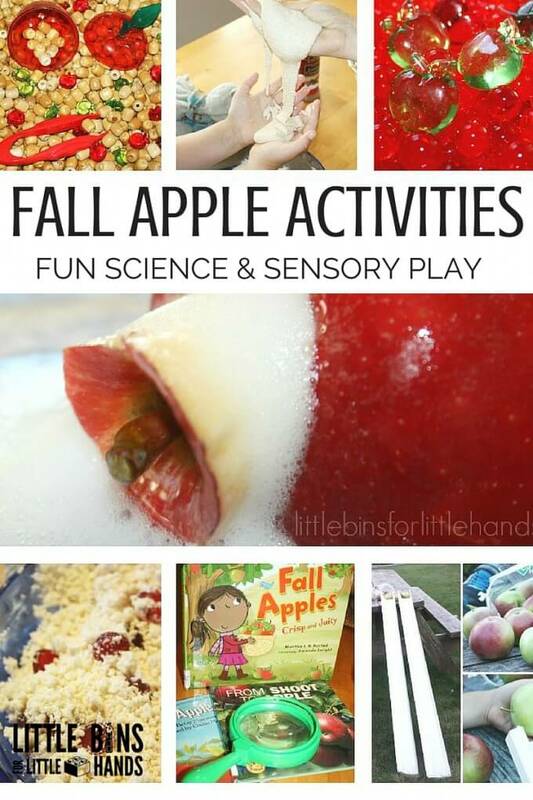 If you are planning your Fall learning themes, this is the perfect apple science senses activity to include. 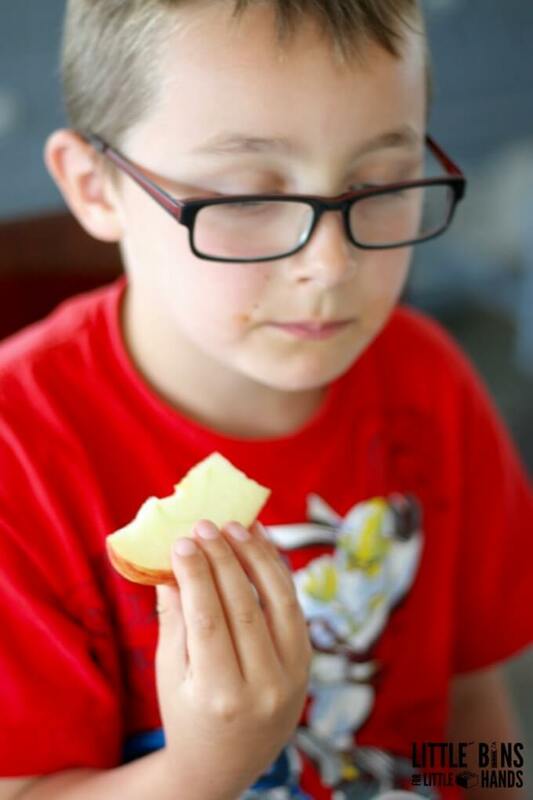 Kids will love examining, exploring, and of course tasting the different varieties of apples. 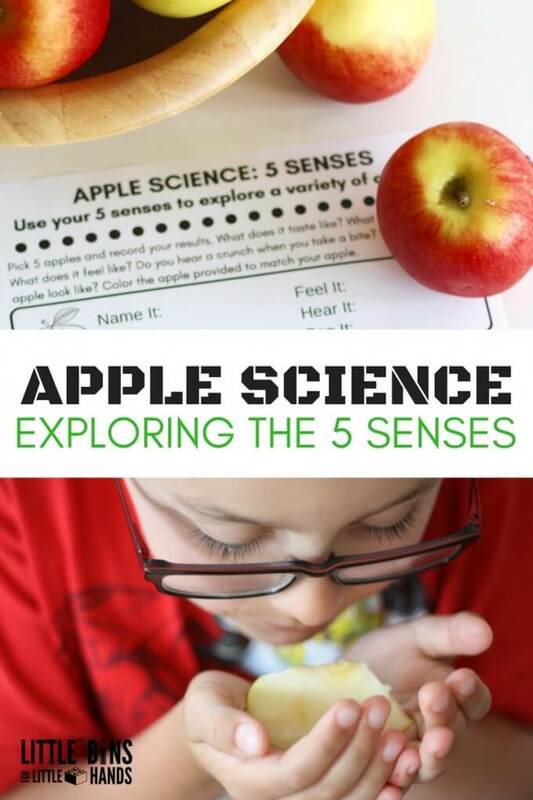 Use our handy free apple science senses printable to extend the activity for kids ready to journal their science experiments! Which apple will win the taste award? 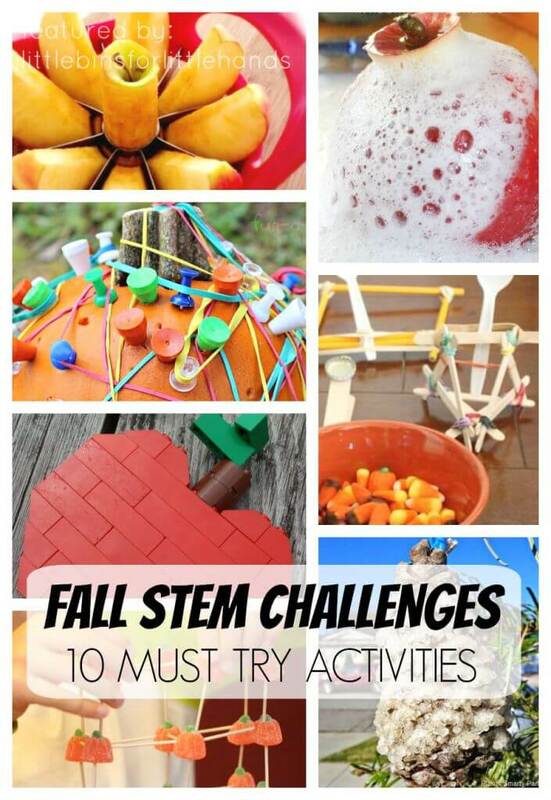 Fall science is awesome! I love super simple science activities that you can set up in just minutes but offer a ton of learning opportunities too. Plus we love science experiments that keep kids engaged and excited. Fall is an awesome time to explore apples and all the different varieties of apples. Do you regularly buy just one or two types of apples when you go to the store? I tend to, but I noticed just how many varieties are market has available. I am always in a rush and I never stop to think about trying a new one since everyone likes what I usually pick out. Let’s mix it up. The next time you go shopping have your kids help you choose one of each variety or around 5 different types of apples. Let them know there will be an apple tasting event and fun science activity coming soon. 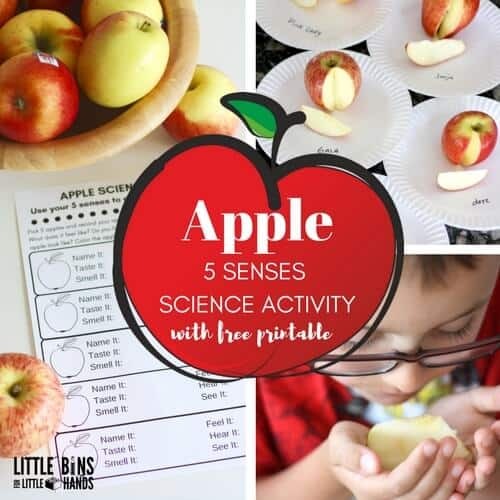 Grab our free apple science senses printable and get your supplies ready! Nothing fancy here. 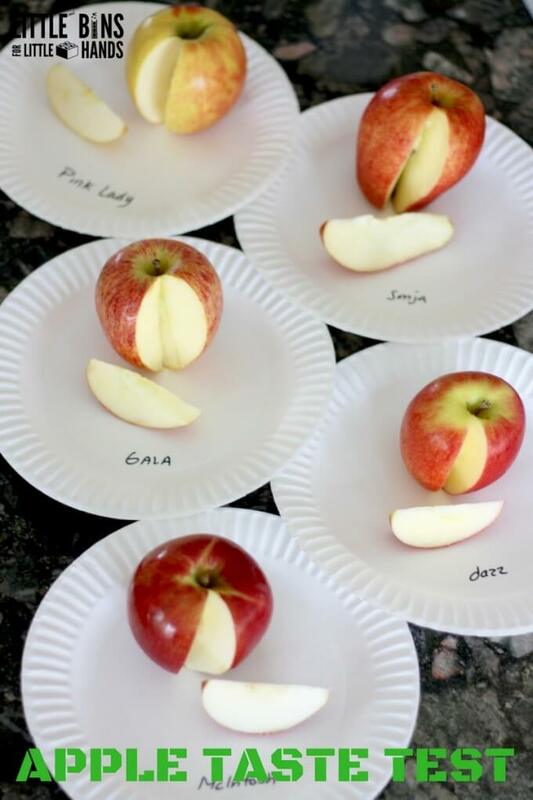 we chose our apple types and placed each one on a paper plate and labeled the plate with the apple’s name. An adult should use a knife to cut out wedges of apple for everyone. Print out our handy apple science senses journaling page to extend the experiment. This is the perfect opportunity to talk about the body’s five senses! Check out our other ways to explore the five senses with citrus eruptions or pop rocks testing with free printable sheet. Get everyone talking about how each apple tastes, smells, feels, and crunches! Describe what the apple looks like with your sense of sight. What color is the skin? What color is the flesh? What shape is it? Compare the apples colors and sizes. 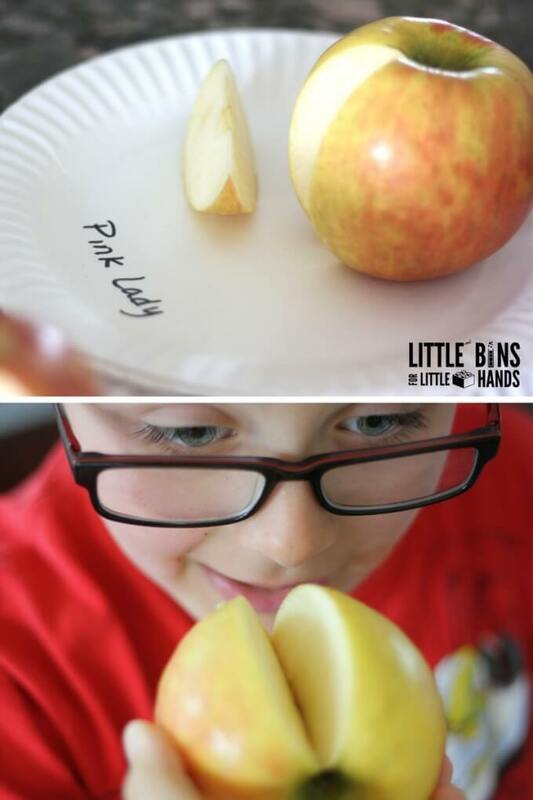 Love this tasting printable linking to in for my Apple Play Date Planner my kiddos had fun coloring the apples to match up and tasting them.